I’m the first to admit that I do not eat enough vegetables. I’d rather snack on oatmeal, chocolate, muffins, nut butter (basically everything I typically blog about) instead of kale chips, carrots and hummus, or really anything savory. That is why I absolutely love when I find Desserts with “Secret” Ingredients. Now they obviously aren’t an actual secret considering the ingredients are clearly laid out for us, but when I see some type of vegetable, bean, etc. in a cookie recipe, my eyes pop out of my head. I love the creativity of adding some extra nutrients and another food groups into our sweet treats. With the colder months coming (aka the baking months and my hibernation) I wanted to compile some of my favorite Desserts with “Secret” Ingredients recipes for you. These are a mix of dessert ideas, some with vegetables, beans, anything you wouldn’t expect in a brownie or cookie! Keep an open mind when you read these recipes and definitely give them a try, you may be surprised (like me) and find that there IS a way to sneak in some veggies into your next batch of brownies. Davida from The Healthy Maven may or may not be a genius. Avocado in my brownies? Heck YES! 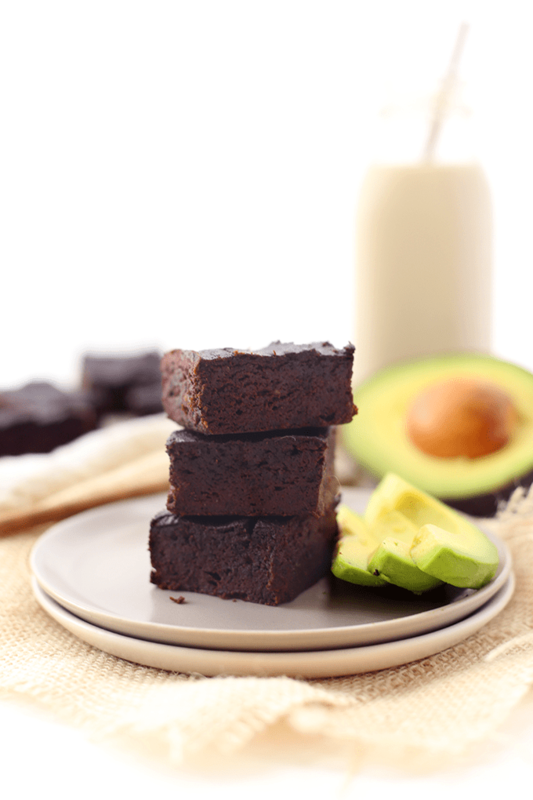 She uses avocado instead of butter or oil, adding some healthy fats and nutrients to your chocolatey dessert. I don’t know about you but Red Velvet cake is one of my FAVS! Giselle, the blogger behind Exsloth, created basically my dream recipe. 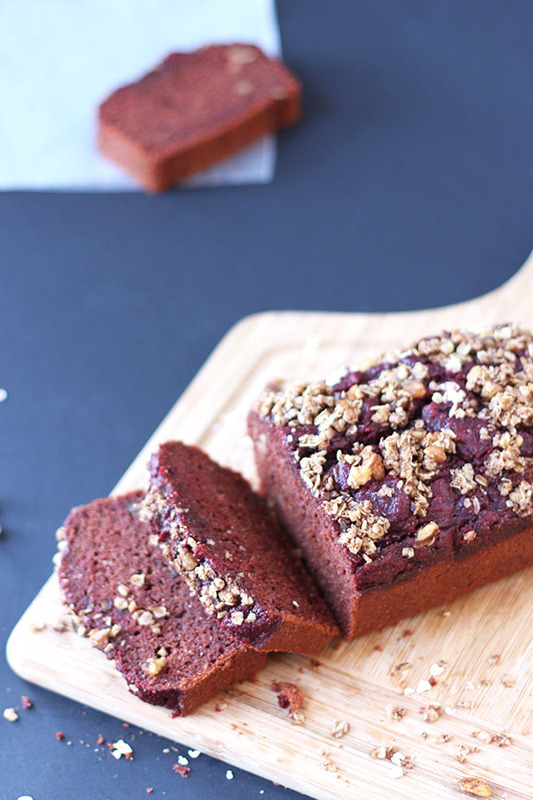 Red Velvet Loaf with beets (which I never eat) that is dairy free and vegan. This is a must try for all my Red Velvet chocolate lovers out there. 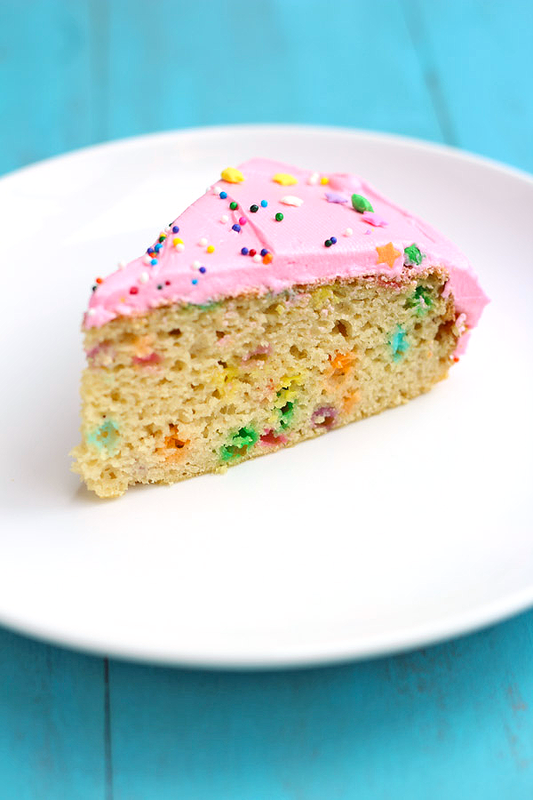 Les over at The Balanced Berry created a Gluten Free Funfetti Cake that is homemade vanilla sprinkles cake with her own buttercream frosting. Including in her list of cake ingredients you will find white beans! 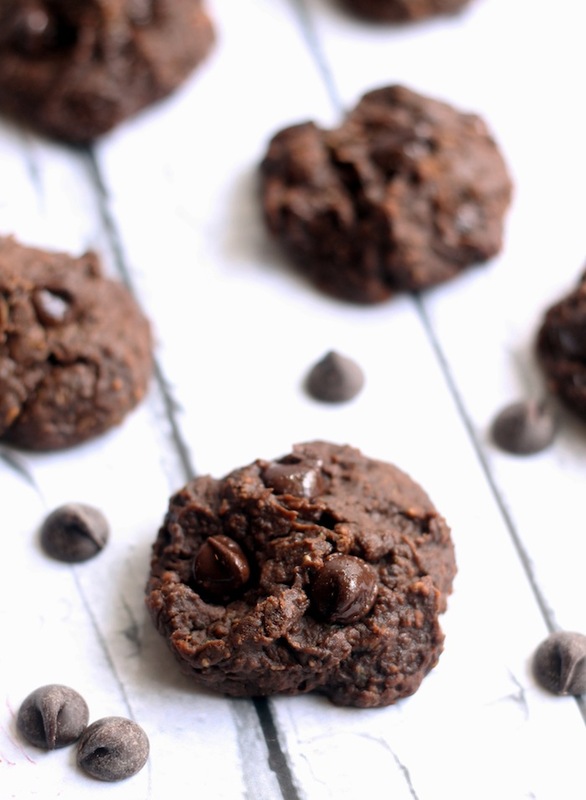 Who knew beans could replace flour in some baked goods?! Alexis (who I am border line obsessed with) of Hummusapien not only made a Dessert with a “Secret” Ingedient but she used TWO secret ingredients people. Zucchini AND Black Beans, you go glenn coco! These cookies are fudgey, chocolatey, and everything I have ever wanted. Not to mention there is also almond butter in these cookies so that also makes these even more AMAZEBALLS. Carrots are definitely on my list of top 5 foods I will forever despise. No matter how hard I try to eat them, I find myself picking carrots out of my salads, soups, basically everything. Lindsey from Cotter Crunch made gluten free Blueberry Carrot Cake Bars that will finally do the trick of sneaking some carrots into my belly. 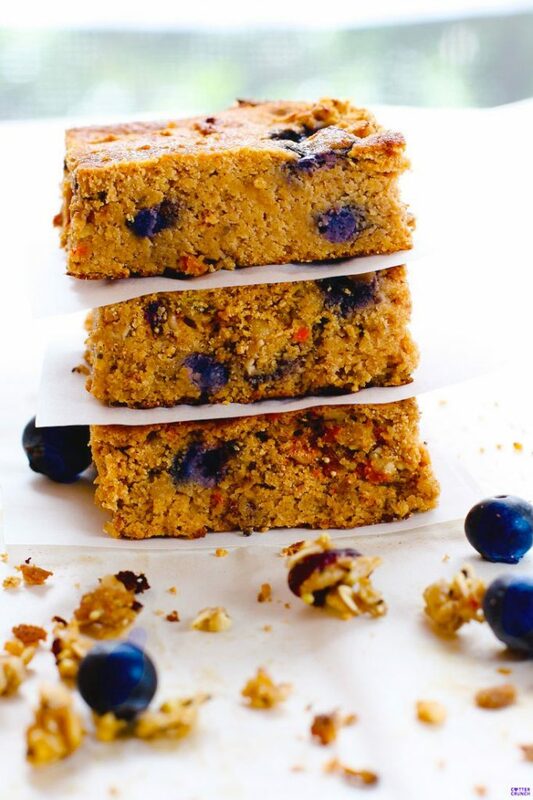 Plus the addition of some blueberries makes these bars even better! I wish I knew about Georgie from In It 4 the Long Run’s edible Snickerdoodle Cookie Dough when I was in high school and used to feast on spoonfuls of the chocolate chip cookie dough in the fridge (sorry mom). Georgie aka my soul sister used CHICK PEAS in her cookie dough, like hello hey whats up how you doin’? There is no shame spooning with cookie dough when it’s filled with chick peas! 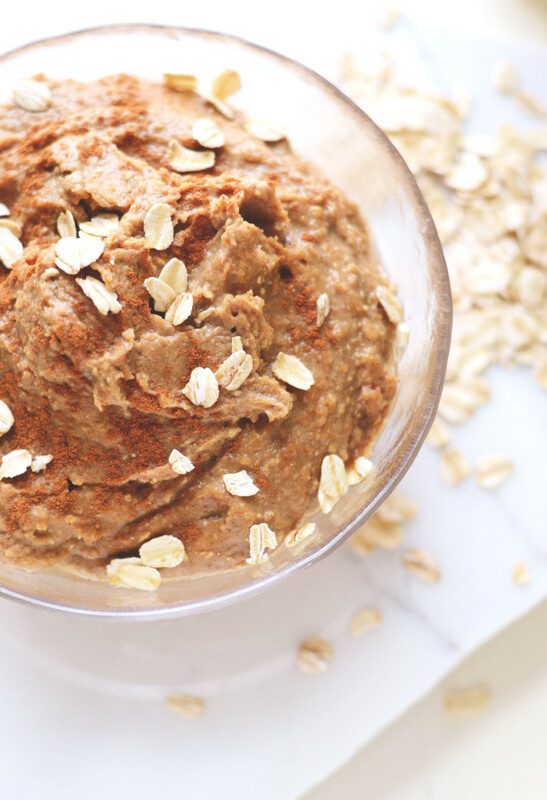 We all know I’m going to love this recipe already since there are OATS in it too. 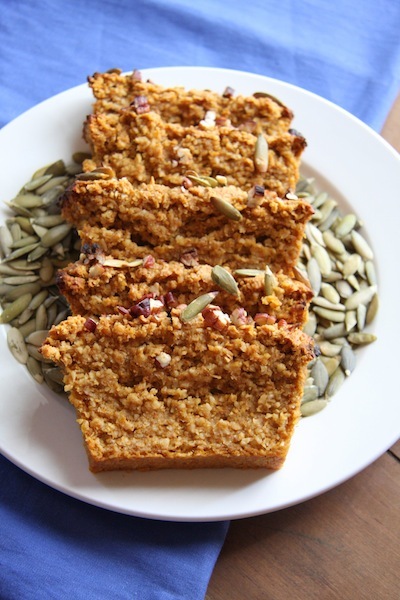 Katie from 24 Carrot Life combined sweet potatoes, oatmeal, amongst other ingredients including apple cider vinegar (total win here) for a moist (yes I like that word) Sweet Potato Oat Loaf. It is a great sub for pumpkin puree and much more unique for this time of year. Thank you everyone for inspiring me (and hopefully anyone reading this) to start making more Desserts with “Secret” Ingredients! Probably one of my favorite things is when I can sneak in an extra veggie into a recipe or “trick” friends/family into loving something that’s totally healthy. These all look fab! I like the word moist too, even though all my friends hate it! Love all these sneaky veggie recipes. Thanks for sharing mine! these all look mouthwatering! can’t wait to check them out! Thanks for sharing!